Agoda provides affordable accommodation in countries all over the world including India, Indonesia, Japan, Laos, Malaysia, Myanmar, Nepal, New Zealand, the Philippines, Singapore, South Korea, Sri Lanka, Taiwan, Vietnam, Czech Republic and Denmark. They also offer hotels in major cities across the globe in destinations like Finland, France, Germany, Greece, Hungary, Ireland, Italy, the Netherlands, Russia, Sweden, Switzerland, the UK, Argentina, Brazil, Mexico, Venezuela, the UAE and South Africa. To find your ideal accommodation in any one of these countries use the search bar on the Agoda website to find an appropriate hotel, resort, apartment or hostel that’s suited to your travel needs. You can also use the Agoda flight search tool to search and compare hundreds of travel sites for the best-priced flights to the location of your choice. 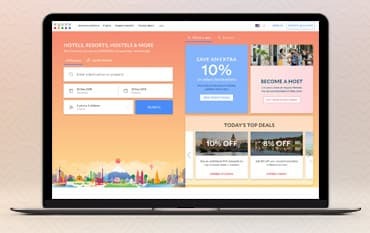 If you’re looking to travel on a budget take a look at today’s deals section on the Agoda website to find discounted hotels, flights and airport transfers. In this section, you’ll find deals that allow you to save up to 10% on holidays to top destinations like Melbourne, Cancun and Busan. Book your airport transfers online at Agoda before you travel and save money on your rides to and from the airport. Use the search bar to find point-to-point rides or browse by the hourly rate to find the perfect airport transfers for you. Simply enter your pick-up and drop off airport or address as well as the dates, times and number of passengers travelling. You’ll then instantly be provided with plenty of transfer options that are suited to your travel plans. When you book airport transfers with Agoda you gain access to plenty of benefits and incentives including budget and premium options, free cancellation on 99% of rides and 24/7 customer service. Agoda also promises to wait for you if any of your flights are delayed. If you’re looking to book activities and tours while you’re on your travels take a look at the expert hand-picked tour options available at Agoda. By booking online at Agoda before you jet off you can save money on once in a lifetime experiences in popular destinations around the world such as New York City, Paris, London, Madrid, Rome, Miami, Sydney, Hawaii, Orlando, Venice and many more. If you already have a tour in mind that you’d like to experience simply search for it in the toolbar available, or if you’re unsure on the current things to do in your chosen destination then check out the top rated tours available, the most popular tours available and tours and activities new to the Agoda website. Search around and discover private walking tours of Palma, Grand Canyon helicopter tours, tours of the Vatican and Sistine Chapel and many, many more. Can I have a hard copy receipt sent by post? Agoda only offers an electronic receipt in PDF format. I will not be going anymore. Can my friend use the booking? Should you need to change the name of the reservation, you must contact Agoda as soon as possible. If you do not contact them to change the guest name, the property reserves the right to refuse check-in. To cancel your booking head to the ‘manage my booking’ section and sign in. Once you’ve signed in to your account you’ll be able to find further instructions on how to cancel your booking. At Agoda, you can find over 2,000,000 hotels, resorts, hostels and more in countries around the world including Australia, Cambodia, China, Thailand, Austria, Spain, Canada, USA, Morocco, Egypt, plus many more. As well as accommodation Agoda also provides flights, airport transfers, car rental and tours and activities worldwide allowing you to tailor make your whole holiday in one place, online. Book your entire holiday online at Agoda and use a voucher code from us to save money on your getaway, you can also discover great offers and deals on the Agoda homepage and on our deals page here at NetVoucherCodes. We are constantly on the hunt for Voucher Codes for Agoda to help you with your money saving. Our experts check dozens of sites for secret codes including NHS discounts, student sites & social media channels saving you time & money!